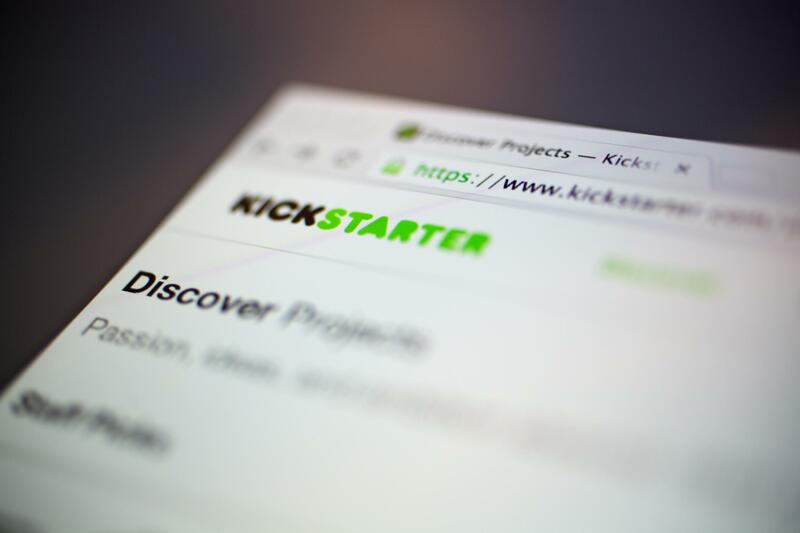 Kickstarter is the most popular choice of platform, and for good reason – it is simple, easy to use and can be very effective. There is somewhat of a formula for why some Kickstarter campaigns succeed and why some don’t, and here we’ve rounded up some of the top tips. While for more developed business it might be a case of spending money to make money, from a Kickstarter campaign you can just as easily create a successful campaign with very little start-up cash – and this is what we’re focusing on here. You would be mistaken to think that the hard work starts when your campaign goes live. In fact, the opposite is true – the time leading up to your campaign is vitally crucial and to a large extent will determine the success or failure at the end. 90% of the work needs to be done in the 4 to 6 weeks prior to your chosen launch date. To make sure you gain initial momentum for your campaign you really need to capture people’s attention ahead of time. However amazing or novel the product or service you are offering is, you need to think about how to connect with people and compel them to take action. Connecting with people on an emotional level is the best way to do this. Think about using humour if appropriate, or incorporate a charity or social aspect into your campaign. A short video is an easy and effective way to tell people what you are doing. If you are keeping costs to a minimum this can even be filmed on a smartphone. Keep the video short and sum up in three to five points what it is you are doing and how it will benefit the person watching. Most importantly make sure you end the video with a call to action, and underneath the video, link to your campaign and social media pages. It’s hard to make people stop and take notice, and it’s even more difficult to make people part with their money. The truth is that people always want something in return for giving up their cash, so you need to give them something. One of the best ways to do this is by offering perks to people that pledge money. Use your campaign page to show clearly what pledgers will receive in exchange for donating. Offering a discount on your product is an obvious choice, but this is your chance to get creative and really give value so try and think outside the box. Do you have a money-can’t-buy type of skill or experience you could offer? Or an exclusive limited edition product that only pledgers will be able to get their hands on? People are always more likely to donate if there is a compelling charity aspect to your campaign. Is there a social cause you could implement in order to encourage engagement or donations? There are thousands of campaigns live at once so the chance of people just stumbling across your page is very unlikely unless you get featured on the curated page. Kickstarter chooses which campaigns to feature based on an algorithm that works out which campaign pages have the best conversion rates i.e. the percentage of page visitors who pledge. This means your campaign page needs to be as engaging as possible. If you don’t have a website yet, make sure you set up a landing page that contains all your important info. This should include calls to action with links to your Kickstarter page, your video and social media profiles. Appointing a number of ambassadors for your campaign is another great way to create noise. Look for people in your network with a significant online presence who can shout out about what you are doing in the lead-up and throughout the duration of your campaign. In return, you can feature them on your website or via social media and to incentivise them further, offer them free products or gifts. Gaining press can create some buzz around your campaign and spread the word about what you are doing. Local newspapers, TV and radio are a good bet as they are always looking for stories about local small businesses. Another great way to gain some publicity is with targeting bloggers who can champion what you are doing. If you do have some spare money you could hire Virtual Assistants to get some of the all-consuming background tasks completed. Ask friends for feedback or give them a sneak peek of what you’re up to, to make them feel part of your campaign from the very beginning – the more involved they feel the more likely they are to support you. Pinpoint the people within your network with a large online presence – these people will become crucial in spreading the word. Sending personalised emails using email list management tools like MailChimp to everyone in your network would be impossible – particularly considering how strict anti-spam legislation is. Instead, group your contacts and personalise your emails for the specific groups. Online influencers and personal friends who’ve supported you from the beginning should receive different emails to just any odd person on your email list. Make sure each time you send an email it is only asking people to complete one action. If you bombard people with several “asks” in a single message, they might end up doing nothing at all. When your campaign first goes live, the key thing is to build as much awareness as possible so getting people to share your campaign video or landing page is what you want. Encourage your contacts to share via Facebook – the more a link is shared on Facebook the more likely it is to appear in people’s home feeds. A launch event to mark your campaign going live is a great way to gather momentum and create buzz around your campaign. The event doesn’t need to be lavish – just gather your supporters for some drinks and show your campaign video if you’ve got one. Getting ahead with scheduling email and social media content prior to your campaign launching will free your time up for more pressing tasks once you go live. This is a perfect task to hand off to a Virtual Assistant. It will go a long way and increase your chance of having people help you again. Getting a few blogs really behind your campaign is much more valuable than lots of blogs half-heartedly mentioning you in an offhand way. Subsequently, it is best to put more effort reaching out to a few blogs than sending a generic blanket email to tonnes. Is your campaign something the blog would feature? Look for blogs that have previously posted about campaigns like yours. How popular is the blog? i.e. how much traffic does the blog get? This can be assessed by using the SEO for Chrome extension. Do you know someone that could make an introduction? If you don’t have any personal connections with bloggers take to social media to find some. Share a Facebook status or Tweet explaining you are looking for bloggers to work with – you might be surprised at who is willing to give you an introduction. Will the blog use paid promotion for the post once it’s been published, and how wide is their reach? It’s one thing to get coverage from bloggers, it’s another thing entirely to get people to actually read the post. Choose ten bloggers with the most potential for coverage based on the above criteria, and make it your mission to approach them and get them to feature you. The benefit of having a shortlist is that you can really get to know their blogs and writing style and, knowing this information, you can tailor your pitches to their needs. Realize that it may take a while to establish rapport and trust – so don’t leave it to the last minute. When pitching your Kickstarter campaign to your carefully chosen bloggers, email them just a few bullet points about your campaign and what makes it different and why it is perfect for their blog. Include a few images (embed them in the email, rather than attaching them or sending them a cloud storage link); this gives them something visual to help create the Big Picture for them. If you’re successful with gaining coverage on one of your target blogs, don’t forget to follow up afterwards and ask (politely of course) if they can include a link to your campaign in their newsletter, or push the post in which your campaign is featured, on one of their social channels.